A woman has been charged with murder following the death of a woman who was assaulted in the street. 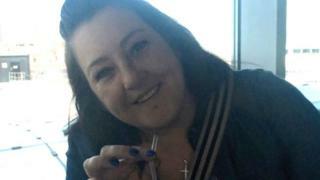 Joanne Hemingway, 39, was attacked outside of a flat on Beverley Road, Hull on 29 June. She suffered "serious injuries" and later died in hospital. Angela Burkitt 53, also of Beverley Road, appeared at the city's magistrates' court earlier accused of murder. She was remanded in custody to appear at Hull Crown Court on Friday. Glenn Foster, 42, of Beverley Road, Hull who was previously charged with Ms Hemingway's murder has had the charge against him dropped by the Crown Prosecution Service. Foster appeared at Hull Crown Court on Monday and pleaded guilty to affray, being in possession of an offensive weapon and having an article with a blade. He was remanded in custody and is due to be sentenced in September.